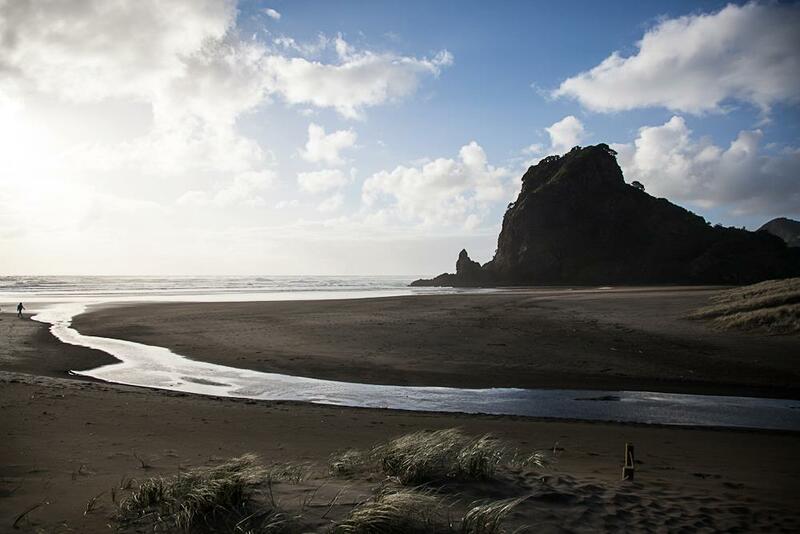 The Waitakere Ranges Local Board has commissioned a report into water quality in the Manukau Harbour and the West Coast. The report, titled Big Blue Waitakere, has now been released for public comment. To be frank our local water quality is appalling. This local board area has half of the region’s trouble spots. Wood Bay and Laingholm Beach in particular are shut too often. And the Piha and Te Henga lagoons have unsafe contamination levels occurring far too frequently. Aucklanders know that our water quality is not up to scratch and that it will cost to fix the problem. Colmar Brunton conducted a recent poll that showed that 61% of Aucklanders supported and 33% opposed the proposed Water quality targeted rate recently passed by Council. And in the Waitakere Ranges Local Board area the support figure was 77% with 18% opposed. It is almost unheard of for a proposed increase in rates to be so popular. But locals clearly want our waterways to be swimmable without the need to check on a website to make sure that this is so and are willing to pay for this. Swimmability is only one aspect of what is a complex problem. Fish stock and in particular protection of Maui’s dolphin along with contamination by plastics are other major issues that need to be addressed although improving water quality will help with these other issues. The intent is that the report should start a discussion with local communities about the state of our beaches and lagoons and what should we do to improve them. We want to prompt a wide-ranging local conversation about our marine and coastal environment, how we interact with it and how we work together to protect and restore it. “Some of the greatest threats to the diversity and resilience of marine and coastal habitats are global issues such as greenhouse gas emissions and associated climate change, ocean acidification and sea level rise. Several management actions identified relate to how the local board can advocate for local scale contributions to carbon emissions that contribute to these global issues. The key pressures affecting the marine and coastal habitats within the WRLB area include; urban development and discharge of contaminants; fishing pressure and methods; habitat destruction; wastewater pollution; rubbish, plastics and marine debris; invasive species; and potential risks associated with petroleum and sand exploration and mining. While improvements have been made to local and regional management approaches, 90% of our native seabirds and more than a quarter of our native marine mammals are threatened with or are at risk of extinction. The rapid expansion of urbanised Auckland has resulted in coastal marine habitats and ecosystems becoming degraded. Chemical contaminants, high levels of nutrients and discharged sediments from waterways will continue to result in negative impacts. Even with the implementation of best practice management, it is unknown how irreversible these ecosystem-level changes may be. The board held a public meeting recently where the report was formally launched. The meeting was well attended with more than 50 people in attendance. If you wish to provide us with your comments on the report then feel free to contact me or any local board member. Congratulations to the election of Ken Turner to the board to replace the late Denise Yates. Ken has been very energetic and involved and is clearly keen to learn what is and can be a very complex job. One of the earlier events that he attended was a Powhiri at Hoani Waititi Marae. The local board has an important relationship with the Marae which is one of the most impressive as well as important community institutions in Waitakere. The essence of the local board’s relationship with the Marae is that of partnership. The powhiri itself was especially poignant because five months earlier Denise Yates’ Tangi was held at the Marae. Ken has been keen to involve himself in all board events and discussions. He is flexible in his approach while he is also keen to question the efficiency of Council operations. I mentioned the report in my last report. The report was formally launched at an event in Waiatarua. The event was both to present the report to the public but also to celebrate \the 10th year of the passing of the Act. First a mea culpa on the part of the board. Our invitation system was not pristine and something happened to the invites former Mayor Bob Harvey and former Councillor Janet Clews. This was not intended. Bob in particular was so instrumental in the passing of the Act. We had every intention that he be there as part of a celebration of what was an important occasion and Bob was a big part of that. The monitoring report is a statutory requirement under the Waitakere Ranges Heritage Area Act 2008. This is an important discipline. It is a chance for us all to take a breather and to work out if there is something we need to do for our beloved Waitakere Ranges to make sure her health remains viable. And I feel a certain amount of paternal affinity for the legislation. I can recall as a newly elected Waitakere City councillor in 2002 attending a meeting called by Jonathan Hunt. Chris Carter and David Cunliffe were there as was Bob Harvey, Penny Hulse, Denise Yates, John Edgar and others. Jonathan suggested that the Council should come up with a local bill for meaningful protection of the Waitakere Ranges. He had previously tried to do the same in 1975 but a change of Government had thwarted the attempt. And we all went away with that as a goal. The Waitakere Ranges Protection Project was formed from that meeting and after a long, long, long process and extensive consultation with the communities the Waitakere Ranges Heritage Area Bill became law on April 8, 2008. Looking back nearly 10 years ago something unusual has happened. Erstwhile opponents of the Act have now come to accept that it was not going to take away all rights but it was actually well balanced. Communities like Oratia who were originally generally opposed to the Act now respect its intention and told Watercare all about the Act after plans for a large industrial scale water treatment plant was announced. And people are very proud to live in a heritage area. One of the major drivers of the legislation was the need to hold subdivision. The intent was to preserve existing abilities to subdivide but to stop the further loosening up of rules so that the gradual and almost inevitable loosening up of the rules would stop. Ten years on and the Act is doing what was intended. The report is intended to highlight ongoing threats to the Ranges. The biggest current threat is Kauri dieback. If we do not get on top of this problem then we face the prospect of losing all Kauri within the next few decades. Such a result would be a catastrophe. The Act has had a very important spiritual effect on the area. It reminds us that we live in a very special, very fragile area. And we need to look after after it. Hopefully the next report due in 5 years time will show that we are getting on top of Kauri dieback. And that the Ranges are still magnificent, rugged and protected. A couple of weeks ago I attended a meeting organised by the West Auckland group Housing Call to Action. A representative from Compass, the organisation that has the job of managing the social housing in the Glen Eden apartments was invited to set out how Compass was going to manage what could be a tricky job. The meeting was very well attended. People from a variety of backgrounds, including social services, business, political and community were present. Steve Tollestrup asked a very pertinent question. People wanted to know if the Apartments will work. The very laudable goal by Ted Manson is to provide people with a chance and a roof over their heads. There is no greater disruption to the prospects of a citizen, especially a young citizen, than substandard housing. And there is a keen desire to make the apartments work. Michelle Clayton has suggested that there should be a community liaison committee to help introduce the new residents to the local community and I think this is a great idea. There has been some preliminary talk about what shape the committee could take, but it could involve people from the local community, social providers, Central Government and the local board and offer assistance to Compass to make sure that the completion of the building and the introduction of the new residents to the local area goes as smoothly as possible. If this is done well it could be an exemplar for how intensification in Auckland should be achieved. And it will mean that local people currently homeless or living in sub standard housing and their kids will have a proper place to stay. It is vital that we, all of us, make this work. Auckland is intensifying, there is no avoiding this. And we have a housing crisis. And a transport crisis. Building upward and around public transport hubs is the only way to ensure our sustainability as a city. The local board organised a public meeting at Piha for residents to ask questions about the emergency response to the recent storm and to discuss what needs to be done better the next time we have an emergency. This was the second meeting of its sort in Piha. The first was for people identified as having a major role in emergency management and provided the board with very helpful feedback from them. The latest meeting was to allow all of Piha to have input into what the board is doing to improve responses to emergency management. Piha has had its fair share of problems with a fire, two floods and a severe storm event all happening within the past couple of years. The meeting was well attended and the members of the panel should be thanked for their contribution. These included representatives from the Fire Service, Police, Emergency Management, Red Cross, Council, and perhaps most importantly Vector. Their contributions were very helpful and the job that the local board has assumed, the preparation of a draft Emergency Management Plan for Piha for consideration by the community can continue. And clearly the problems posed by flooding in the Glenesk Vally need particular attention. Special thanks to Steve Tollestrup, Sandra Coney and Claire Liousse who all have put a huge amount of work into this. The meetings of the community liaison group continue. Watercare is going through the process of preparing preliminary designs for the new water treatment plant. The litigation over the meaning of Watercare’s designation has now been completed. The Titirangi Protection group have identified, rightfully in my view, issues with the existing Unitary Plan designation that Watercare is relying on. Both the Environmental and High Court recognised those deficiencies but concluded that the designation does allow Watercare to proceed. The ecological assessments have been completed but it is not clear how they will affect any design. And the effects on landscape, local heritage features and the community have not been properly ascertained. I had previously expressed the hope that through smart design the effects on the local community and on the environment could be kept to an absolute minimum. I am less confident that such an outcome will happen. The process needs some sort of inspirational input from outside, a cutting edge plan that will minimise the environmental effect and make everyone satisfied if not happy. The Board’s Kauri Dieback Community Coordinator and one and only directly funded employee (contractor) Christine Rose is sadly leaving us. She has held the job of Dieback community coordinator for the past three years and has worked tirelessly educating and talking to people, communities and schools about the danger of Kauri dieback and what we have to do to preserve this taonga of the Waitakere Ranges. She was offered a job for World Animal Protection doing what she loves and has decided to take this position. Christine has had a long standing relationship with the west. She was formerly an Auckland Regional Councillor and was deputy chair when the ARC decided to support the Waitakere Ranges Heritage Area Act. She has been and continues to be a passionate defender of Maui’s dolphin. All the best for your future Christine. Finally a big thanks to Mandy Patmore and the young artists of the Kakano Youth Arts Centre and in particular a young talented artist Kyro for their contribution of outstanding art with the theme of keep Kauri standing to the Arataki Visitor’s centre. It was my pleasure to attend a ceremony to launch the artwork.